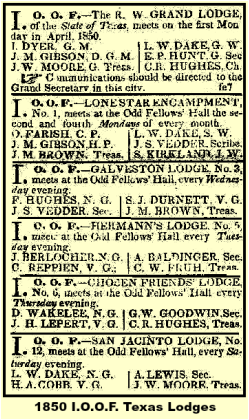 In 1851 the Grand Lodge of Texas began printing the Grand Lodge sessions. 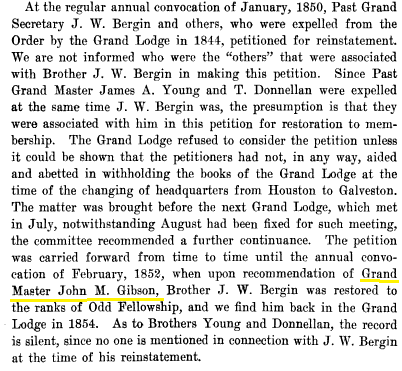 Previous to that time the minutes were written by hand in a book for that purpose just as a subordinate lodge keeps its minutes at the present time. 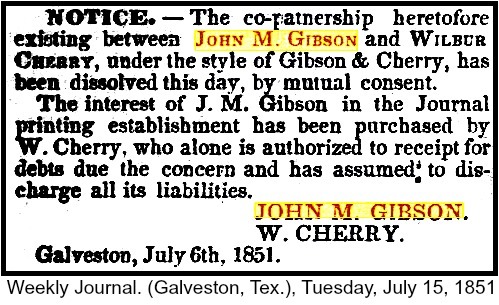 All records of the Grand Body both written and printed were destroyed by fire together with the Grand Lodge hall in Galveston in June of 1877. 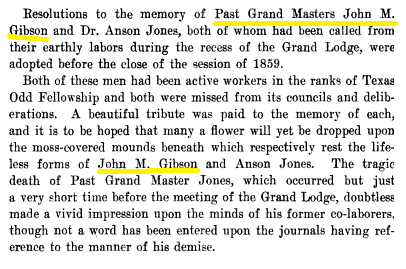 These records having been destroyed, Past Grand Master JA Haynie and others came to the relief of the Grand Lodge by replacing from their respective libraries copies of printed journals covering the period of time between the years of 1851 and 1877. 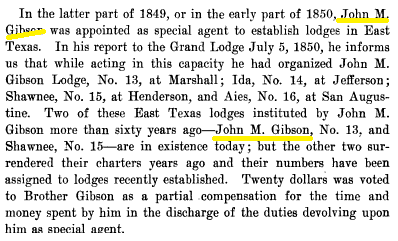 The records however covering the first fourteen years of Odd Fellowship in Texas which had not gone into print were lost and lost forever in the flames that destroyed the Grand hall in 1877 and no power on earth could restore them. 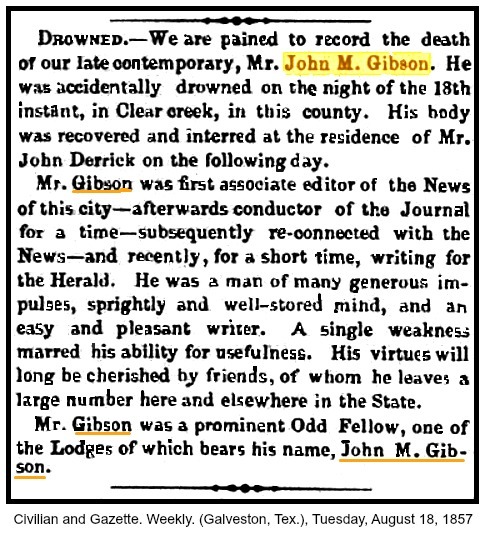 Fortunately we have left to us what PGM Richardson culled, gleaned, and collated in 1874. 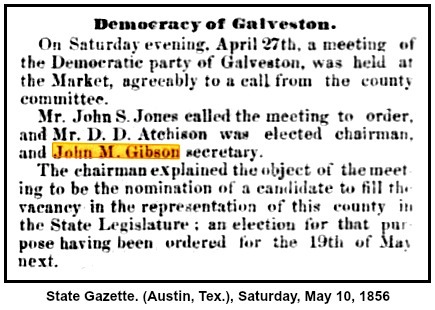 Below is a scan of some of the pages from the 1851 proceedings. The book is very old and faded. Every attempt has been made to enhance the image and make it readable. 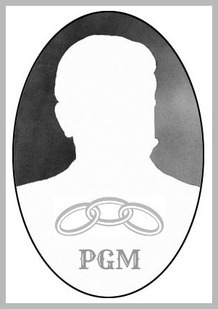 We are sorry that the quality of the print is so poor. Adjusting zoom to 150% may help some. 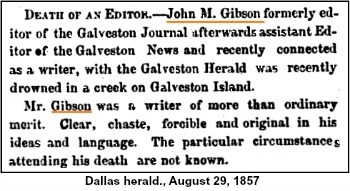 According to Find A Grave, John M. Gibson was buried at the residence of John R. Derrick, Galveston County.